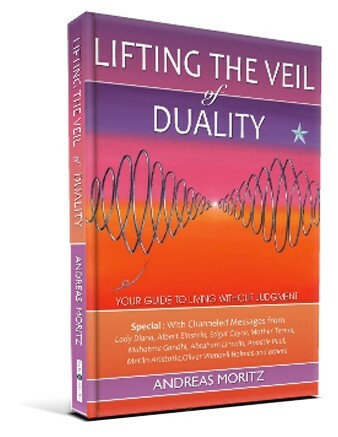 In Lifting the Veil of Duality, previously entitled Freedom from Judgment, best-selling author Andreas Moritz poignantly exposes the illusion of duality. He outlines a simple way to remove every limitation that you have imposed upon yourself during the course of living duality. You will be prompted to see yourself and the world through a new lens - the lens of clarity, discernment and non-judgment. And you are about to find out that mistakes, accidents, coincidences, negativity, deception, injustice, wars, crime and terrorism all have a deeper purpose and meaning in the larger scheme of things. So naturally, much of what you are about to read may conflict with the beliefs you currently hold. Yet you are not asked to change your beliefs or opinions. Instead you are asked to have an open mind, for only an open mind can enjoy lifting the veil of duality.